Luxury self-catering accommodation for: family holidays, short breaks, mid-week breaks, weekend breaks, last minute breaks or group bookings. The Garden Room is the smallest of our luxury self-catering cottages and occupies the south end ground floor of the building. This very light apartment offers either super-king or twin bed sleeping accommodation, with a luxury en-suite shower room. Luxury self-catering accommodation for: family holidays, short breaks, mid-week breaks, weekend breaks, last minute breaks or group bookings. 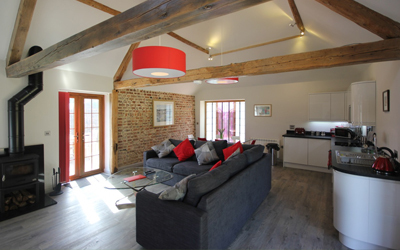 The Barn is the most characteristic of our luxury self-catering cottages. Occupying the west end of the farmhouse this delightful self catering accommodation has been converted from the old barn. 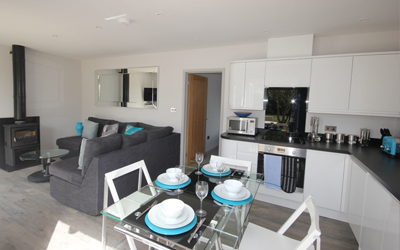 Features include an open plan vaulted living area with wood burning stove. Luxury self-catering accommodation for: family holidays, short breaks, mid-week breaks, weekend breaks, last minute breaks or group bookings. 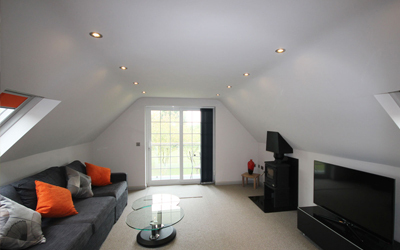 The Loft is the only luxury self-catering cottage located on the first floor. 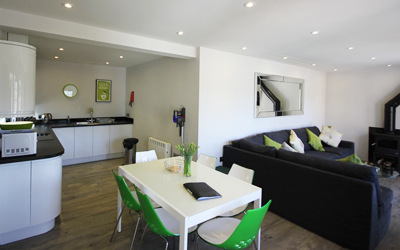 It is also our only self catering apartment to have a separate lounge and balcony. Sleeping accommodation comprises of 2 double bedrooms. Luxury self-catering accommodation for: family holidays, short breaks, mid-week breaks, weekend breaks, last minute breaks or group bookings. The Cottage is the second largest of our self-catering cottages. The accommodation offers three bedrooms consisting of two double and one king-size bed, a luxury bathroom with shower and bath plus a separate cloakroom. Luxury self-catering accommodation for: family holidays, short breaks, mid-week breaks, weekend breaks or group bookings. 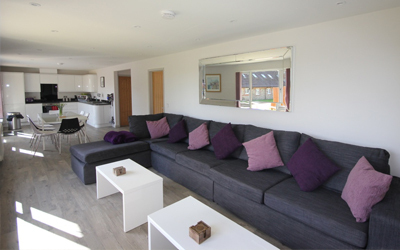 The Lodge is the largest of our luxury self-catering cottages and was newly constructed in 2013. This very light and comfortable accommodation offers 3 king-size beds. The master bedroom features a luxury en-suite shower room plus a wall mounted smart television. Copyrights © 2015 Flintstone Cottages.